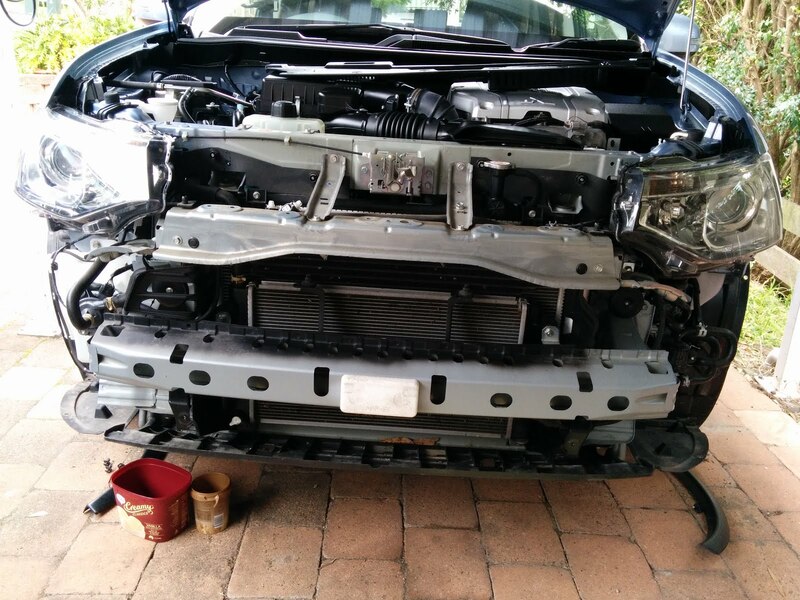 Remove the 2 under body protection panels starting with the rear most panel beneath the engine. Admire the location of the oil filter! Disconnect fog light cable and headlight hose. There is a quick-release on the hose. To enable Aux input press and hold the Info and Map buttons and find the menu. 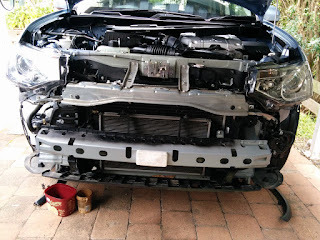 The LH connector is for the fog lights. 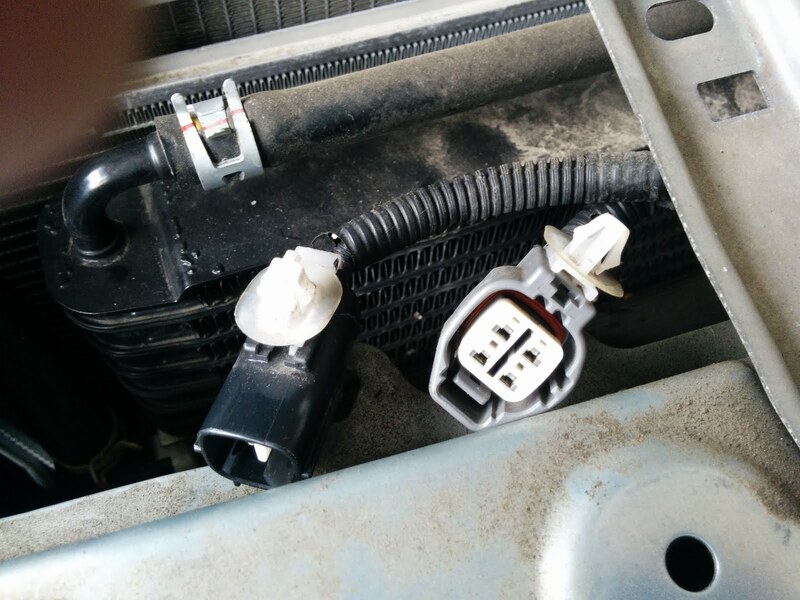 The RH connector may be for the front parking sensors.